Our Holiday Happy Hour will be from 5:30-7:30pm on Thursday, November 29th at Little Man at Sloans-4411 W Colfax Ave. In addition to previewing the amazing Willy Wonka inspired space, we will have beer from Seedstock and locally sourced bites and a DJ spinning. Oh, and ice cream scoops care of our hosts! 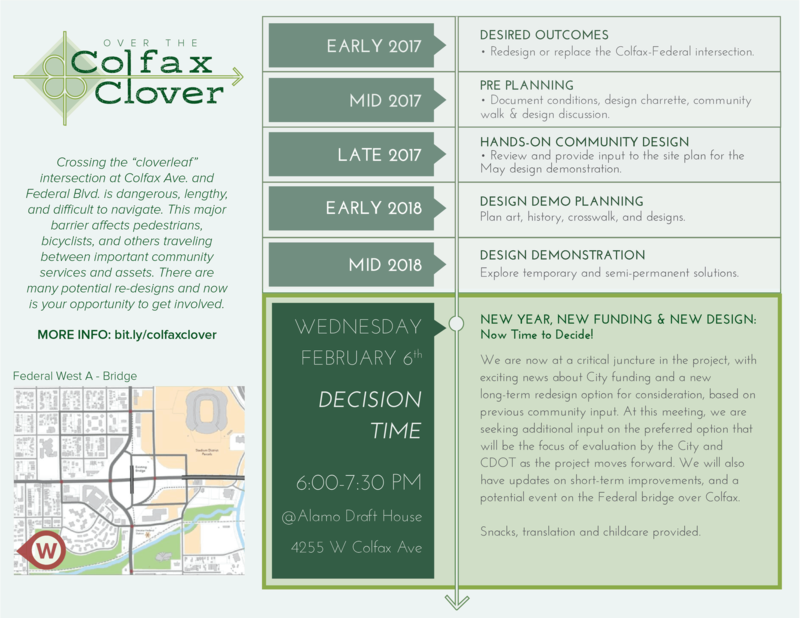 We will also share our new and updated designs for Colfax & Federal and updates on bond-funded enhancements to Colfax crossings. 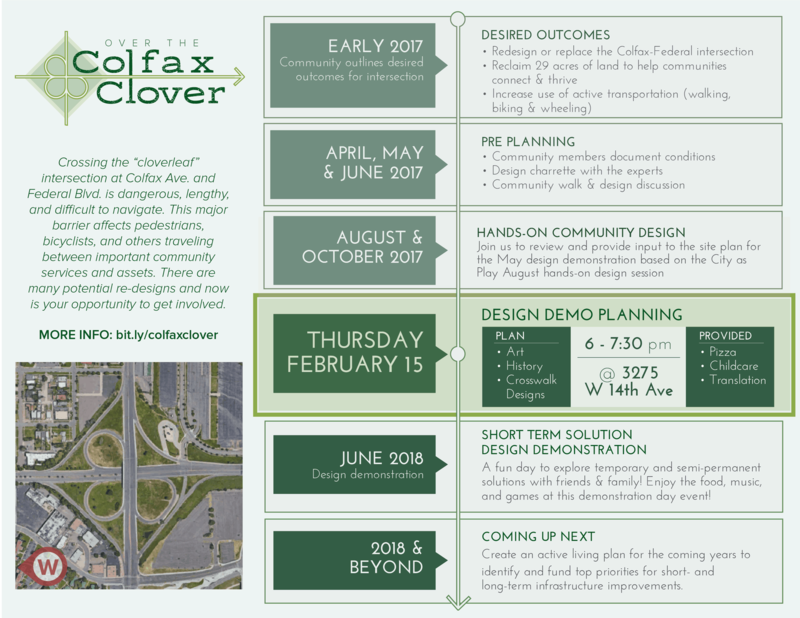 Join us to plant bulbs in the interchange at Colfax & Federal as the first steps toward a garden as part of the Over the Colfax Clover project. We’ll also have yard signs to giveaway as part of the Vision Zero traffic safety awareness effort. Short Term Solution Design Demonstration A fun day to explore temporary and semi-permanent solutions with friends and family! 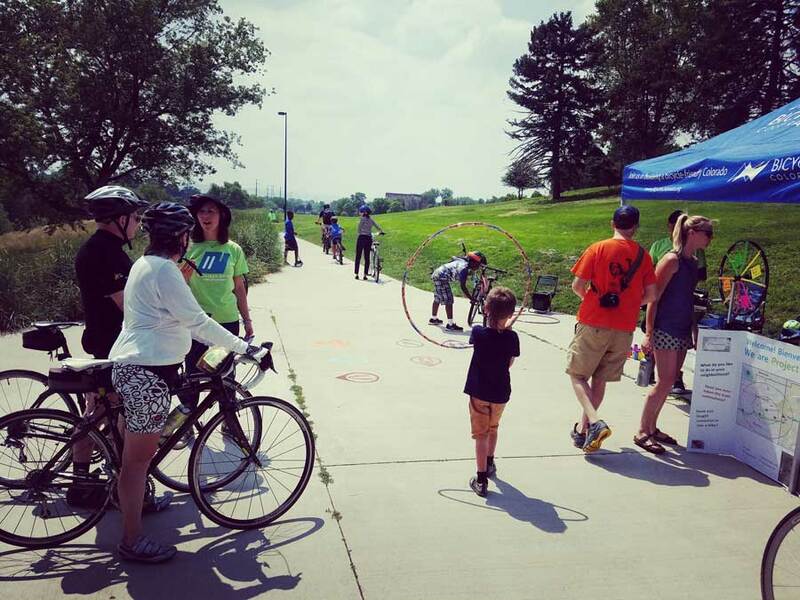 Enjoy the food, music and games at this demonstration day event! Over the Colfax Clover Kick off Meeting at the Alamo Drafthouse Cinema! 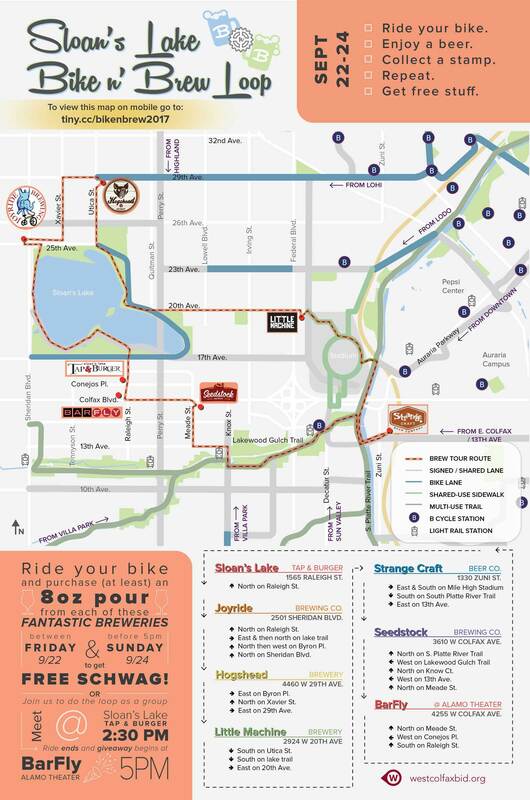 Download your map here & follow these instructions: Ride your bike. Collect a stamp. Repeat. Get free stuff (Meetup & Giveaway Sunday the 24th). 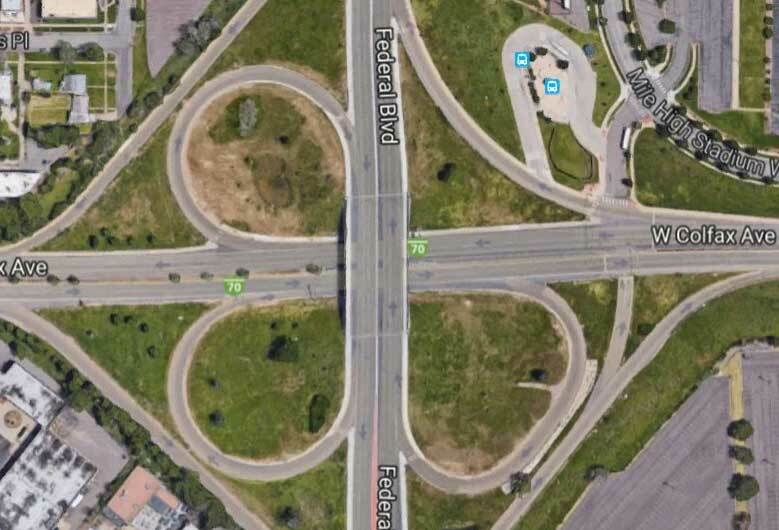 * *OK, more detailed instructions on the map!